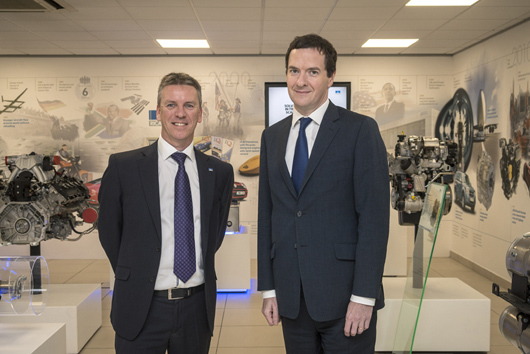 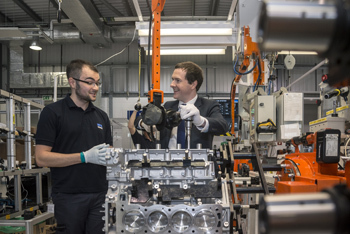 Chancellor of the Exchequer the Rt Hon George Osborne MP visited the Ricardo Shoreham Technical Centre this morning in order to highlight the advantages to the motor industry of retaining the UK’s status as a member of the EU. 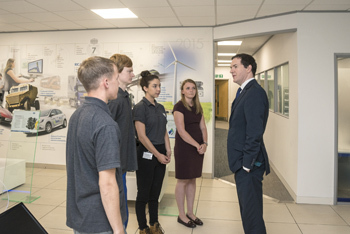 During the visit, which was hosted by Ricardo CEO Dave Shemmans, the Chancellor met some of Ricardo’s apprentice trainees and visited the £10 million Vehicle Emissions Research Centre, which is among the world’s leading vehicle testing facilities. 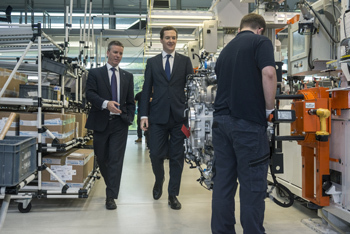 He was also able to visit Ricardo high performance engine assembly facility – opened in 2011 but recently expanded to double its production capacity – where the award-winning M838T engine is built for McLaren’s range of high performance sports cars.